The biggest festival of Indian democracy is going on and its effect is pretty visible in the day-to-day life of Indian citizens. We are talking about the Lok Sabha elections 2019 and the first phase of the elections got over yesterday. While people are busy discussing whether PM Modi will get the next chance or not, all the political parties are busy roping in the famous celebrities for promotional purposes. The favourite candidates of each political party are either Bollywood celebs or Indian cricketers as they are loved by public a lot and can easily connect with common people. Social media is also being extensively used by the political parties to make public vote in their favour. Recently, a photo of Ranveer Singh and Deepika Padukone went viral in which they are seen campaigning for BJP. 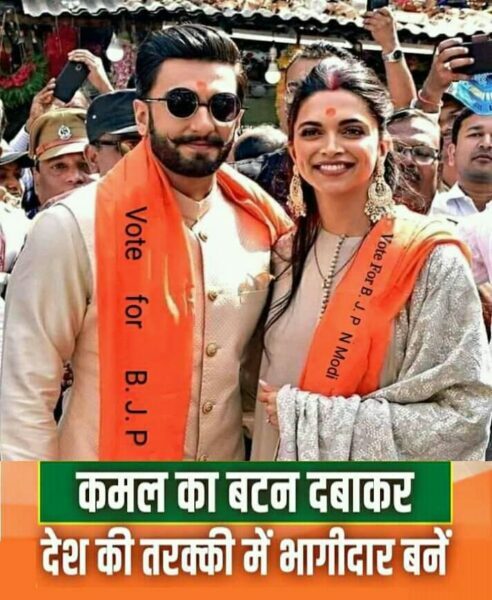 Well, if you too considered the pic to be true and thought that the couple is campaigning for BJP, let us just make it clear that it is a photoshopped image and there is no truth in the claim that Ranveer and Deepika are campaigning for the party. The truth is that these photos were taken when they were just married and visited Siddhivinayak Temple with their family members for taking blessings of the God. While they entered the temple, they had no scarves but when they came out, they had saffron scarves around their neck. However, the scarves seeking vote for BJP and PM Modi in the viral photo are photoshopped. On the work front, while Deepika is busy with “Chhapaak” which is the story of an acid attack survivor Laxmi Agarwal, Ranveer will be seen playing the character of former Indian cricketer Kapil Dev in movie “83”. 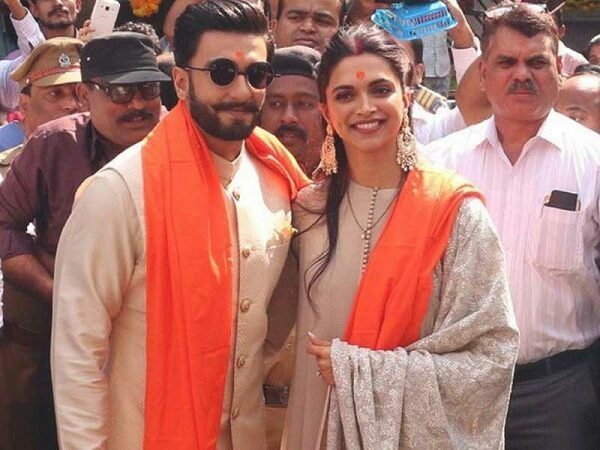 The post Ranveer Singh & Deepika Padukone Campaigning For BJP? This Is The Truth Behind Their Viral Photo appeared first on RVCJ Media.